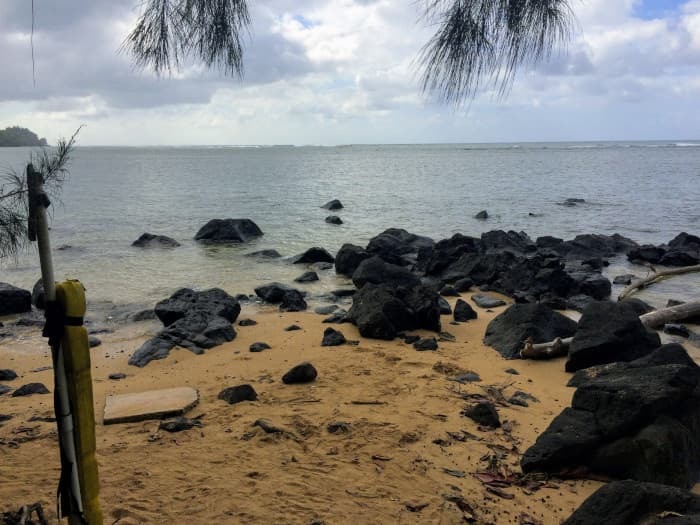 Here you will find information on every Kauai Beach! 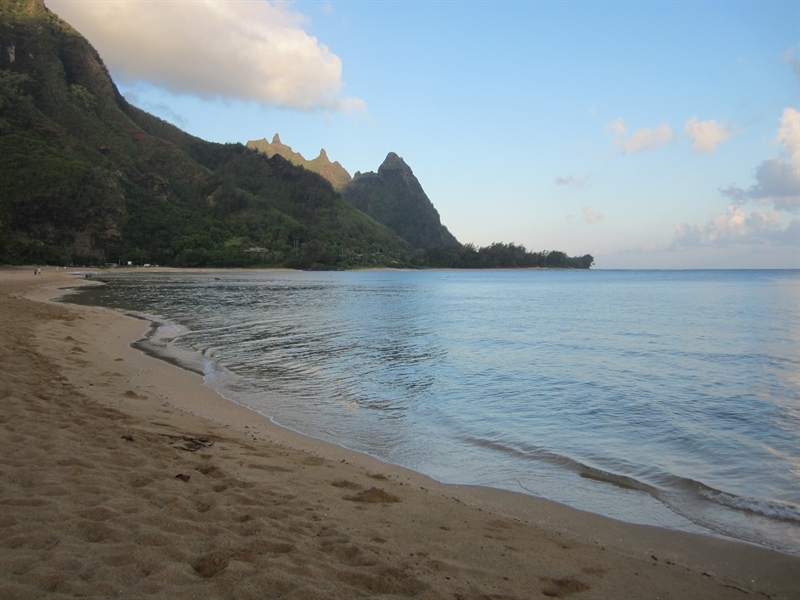 Kauai has over 60 beaches spread over 90 miles of shoreline. However, most of the beaches are not marked and most are not labeled by any road signs at all. We hope this site helps you enjoy the Kauai that we know. We have documented all beaches on the island. We hope you enjoy exploring Kauai's Beaches! You'll find that there is really only one main highway, which has a maximum speed limit of 50 MPH, but only for a few brief sections. Most of it is 35 to 40 MPH (it goes down to 15 MPH in school zones). This main road goes from 12 to 9 (if north is the top/12) and only covers about 3/4th of the islands outer circumference. So plan ahead as you may spend a few hours in the car if you travel north to south in a day. The weather report says it will rain often, sometimes daily. However it's usually a passing storm sometimes less than 1 minute of rain (more in the winter). So if the beaches near you aren't to your liking, hop in the car and head north, south, or east until you are out of the weather. You'll be surprised how small and quick the weather patterns are on the island.